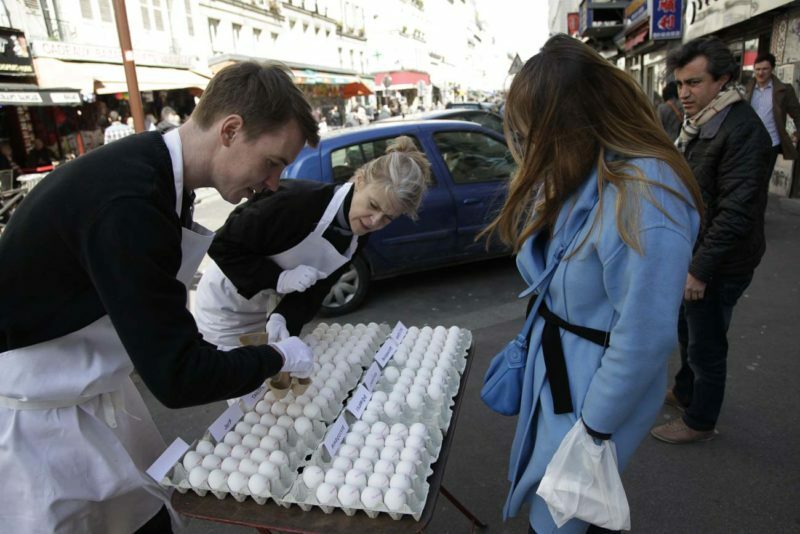 Two egg vendors wearing aprons put up a stand on a Parisian sidewalk. 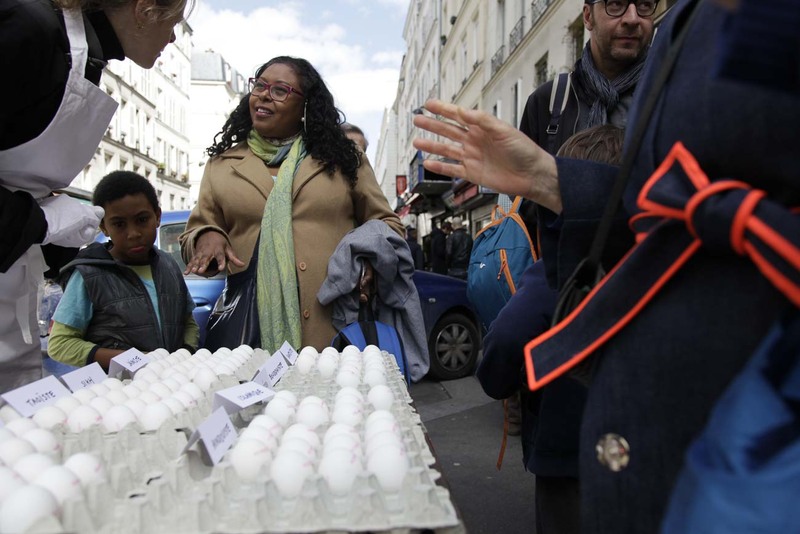 They appear to be selling ordinary household eggs, six for two euros. 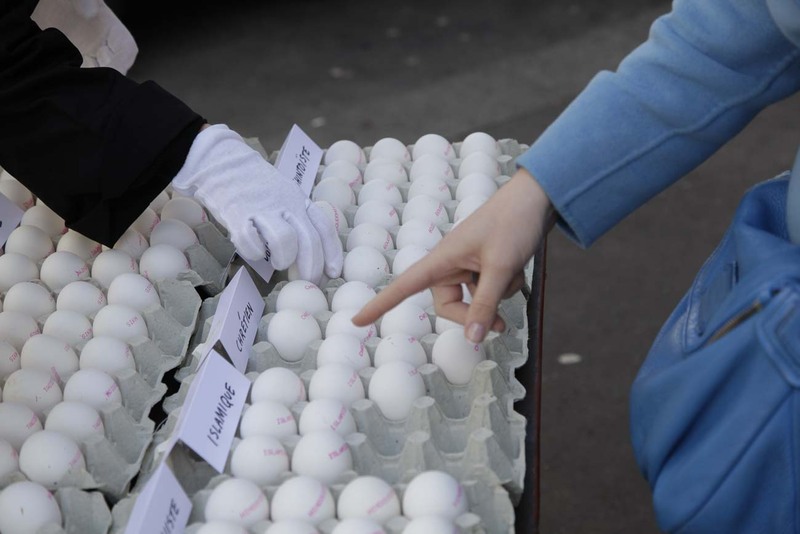 Closer inspection reveals that they are no ordinary eggs. Some are Christian, some Hindu, others are Muslim, Buddhist, Jewish and Taoist. 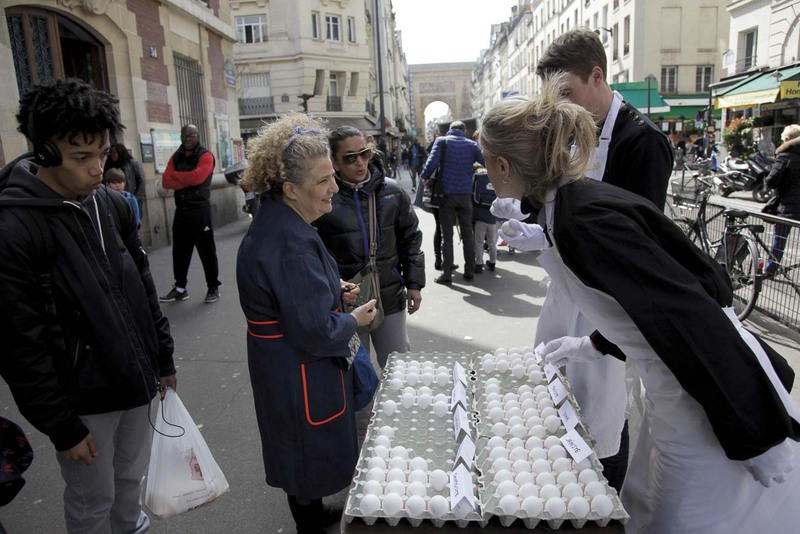 The vendors insist that the eggs are identical – the only difference is that they profess different faiths. A crowd gathers, curious to see what is going on. 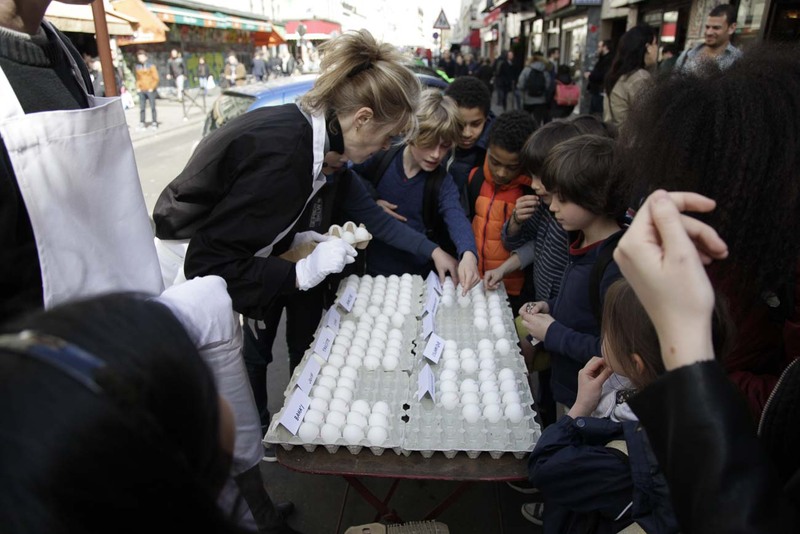 Some customers want to buy a mixture of eggs. 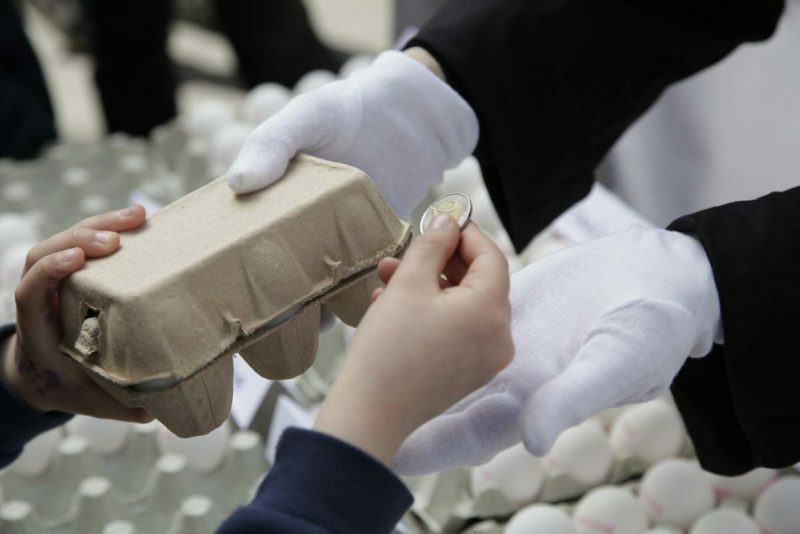 Others want only certain eggs, rejecting others. 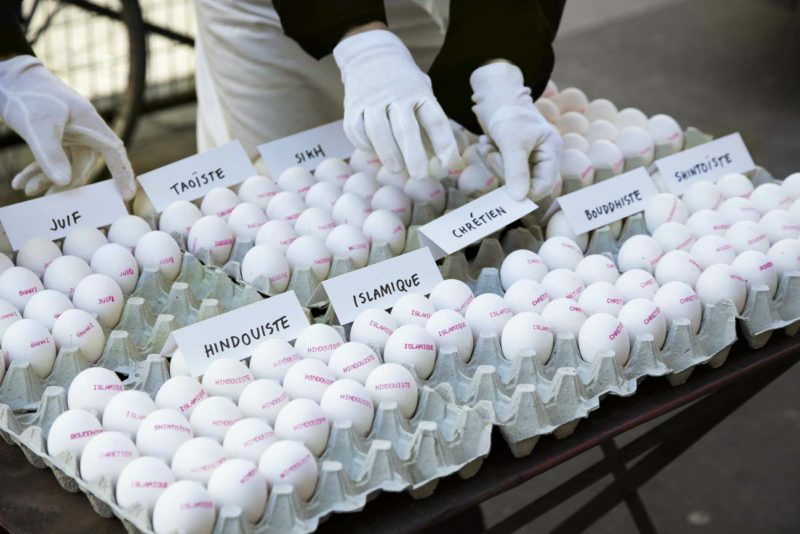 Some are left wondering how the eggs came to have a religion in the first place: did it come from the chicken or somewhere else?